Chance the Rapper continues to break all types of molds, stereotypes and boundaries with his unique blend of God and guts, the nontraditional distribution of his music and his conscious philanthropy. Not only did he again buy out several movie theaters for the new Thurgood Marshall biopic Marshall (he did the same for Hidden Figures), but he continues to support Chicago public schools through a new partnership with ride-sharing service Lyft. On Tuesday the San Francisco-based company announced the venture in collaboration with Chance’s SocialWorks, a nonprofit he co-founded. It allows Chicago Lyft riders to simply round up their fare to the nearest dollar so that the remainder goes to the New Chance: Arts & Literature Fund. The Grammy-winning artist took to Twitter to announce the partnership on Tuesday. 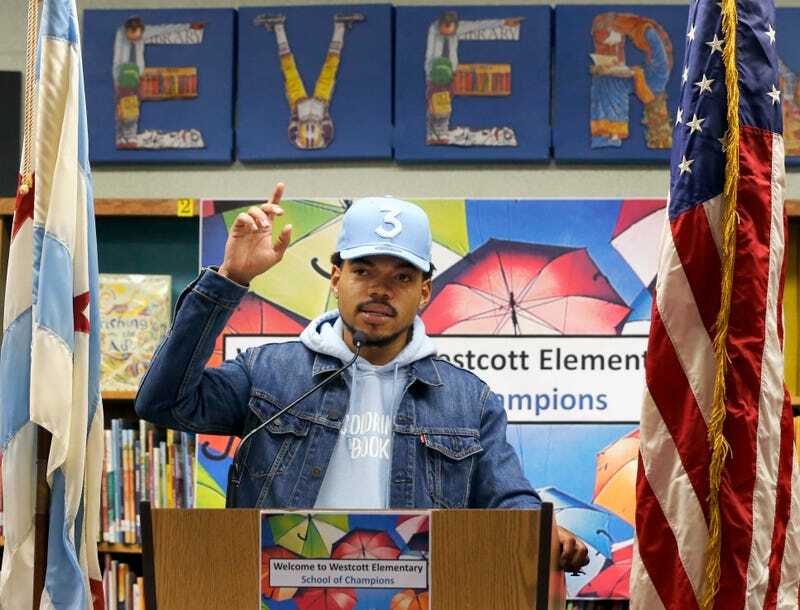 In March, Chance donated $1 million to the Chicago Public Schools Foundation, giving $10,000 to 10 Chicago public schools as well as another set of $10,000 donations to 12 more schools after the Chicago Bulls matched his $1 million donation, according to Because of Them We Can. So far, his organization has raised $2.2 million for 20 Chicago public schools. Lil Chano also announced on Friday that he will be putting on a concert for the Obama Foundation’s first summit in November. This saint continues to march on, saints.